One of my absolute favorite movies from when I was little was Splash with Daryl Hannah and Tom Hanks! My girlfriend Molly has long mermaid hair and that’s pretty much her spirit animal. 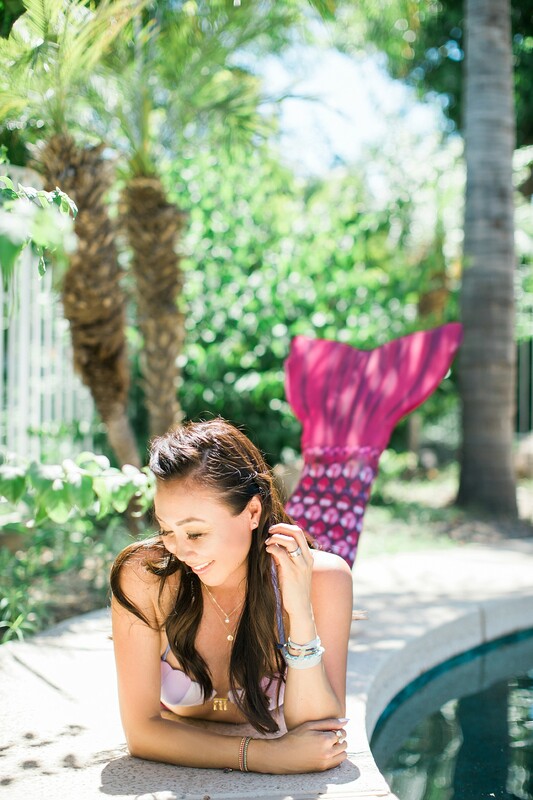 So when AquaMermaid offered to teach me how to be a mermaid, I knew there was no one else who would love this more than Molly – who is a talented videographer (she shot a video of me in my garden here). 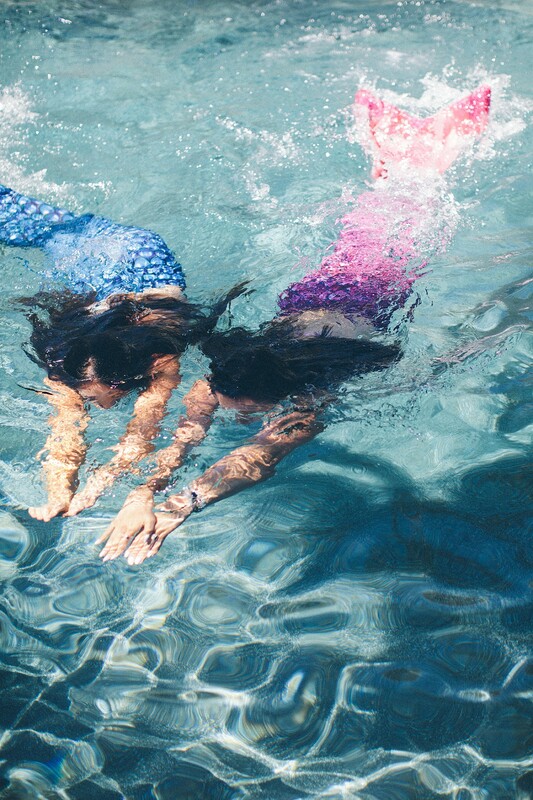 On a day over 100 degrees, it was a perfect day to spend in the water. 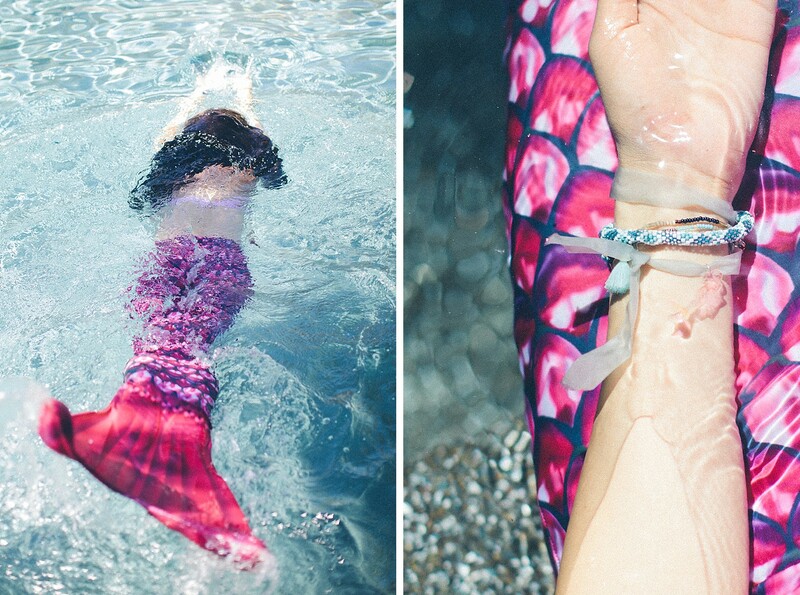 AquaMermaid is a swimming school with a mermaid themed class located in several cities in the US and Canada. 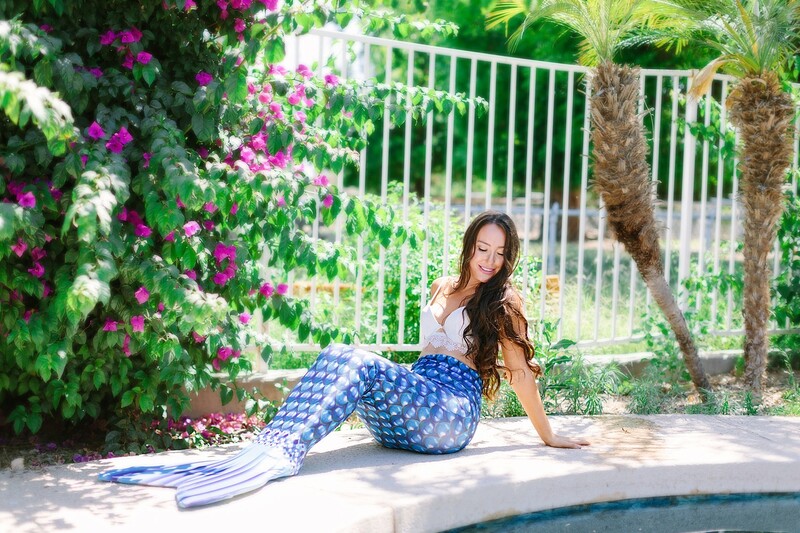 If you are live in the Phoenix area, you can take a mermaid class at Hilton Tapatio Cliffs. 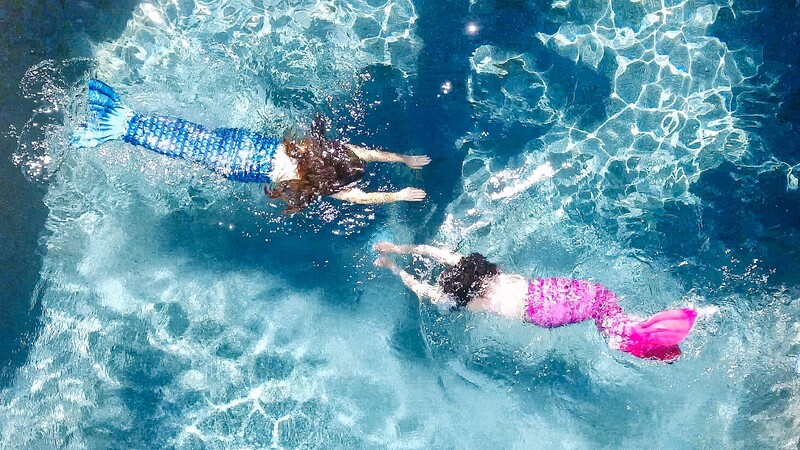 They can host a kid’s mermaid party, and also offer teen and adult classes which are great for a workout! Check out the sign up schedule here. 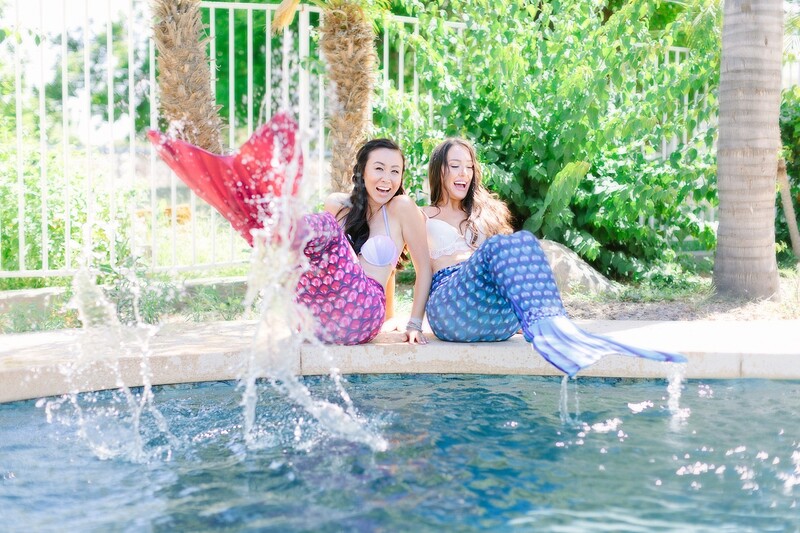 Molly and I put on our mermaid tails (yes you can buy one! 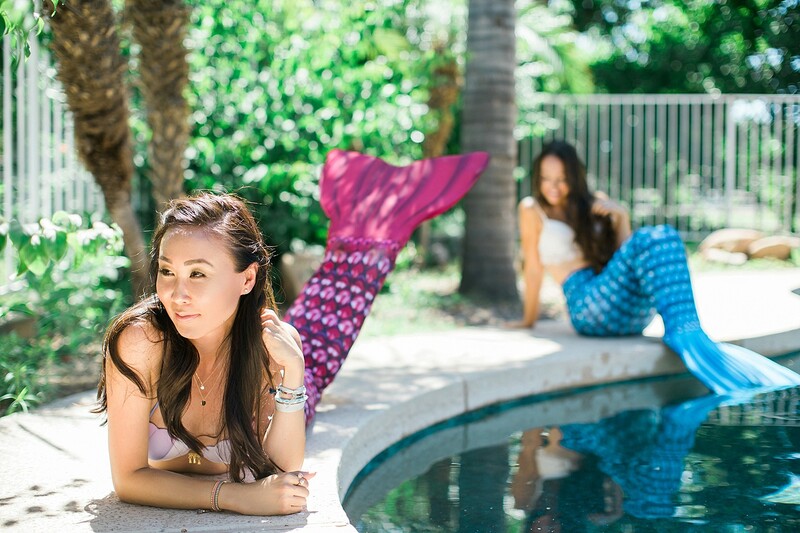 ), learned how to pose like a mermaid, attempt mermaid tricks (which we have to practice to master) and of course how to correctly swim with our mermaid tail! 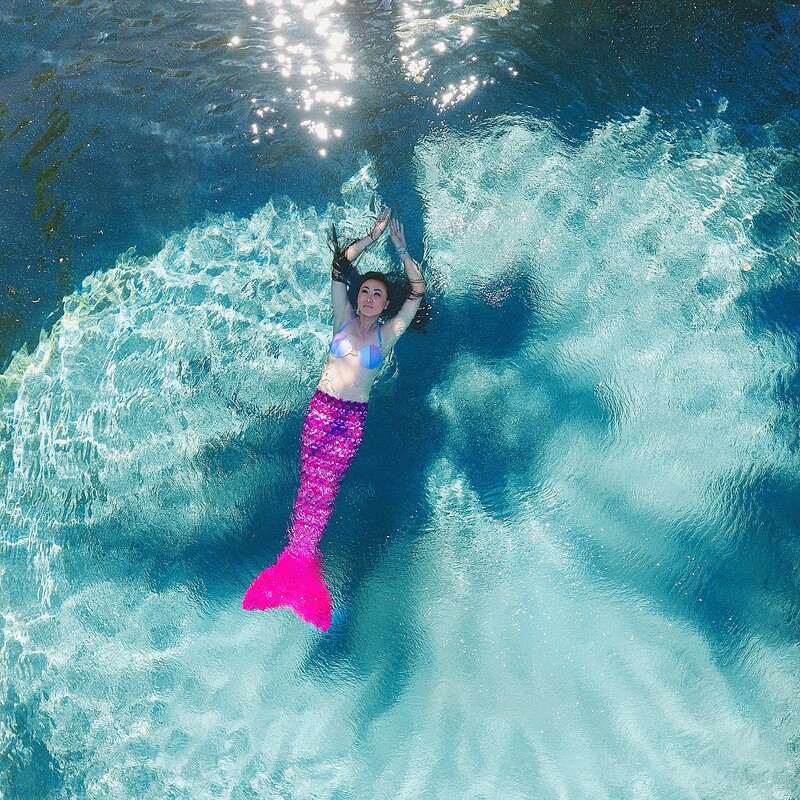 Watch this video to us swim in action – Molly has an awesome drone she used! 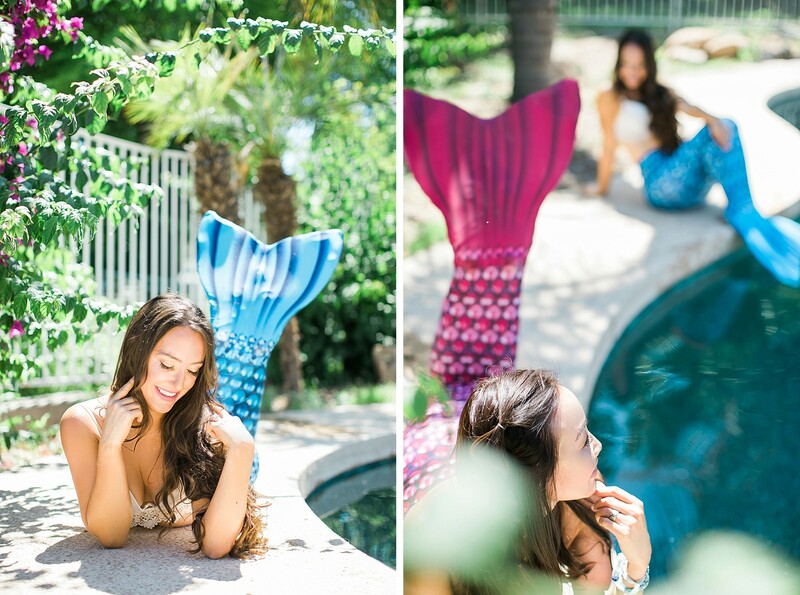 Molly and I were fortunate enough to have private time with our instructor Desiree, a professional mermaid! 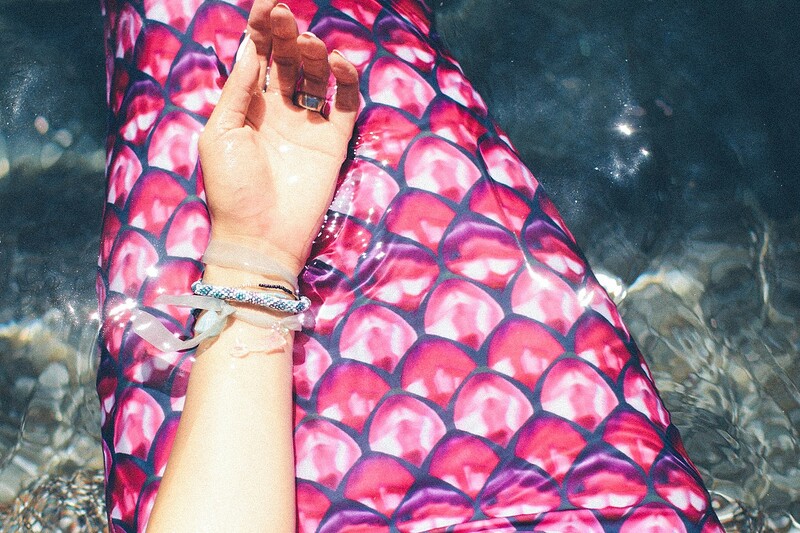 She can do tricks and she’s so sweet, you should check out her IG account for her videos it’s pretty insane – and her mermaid tale is so lifelike! 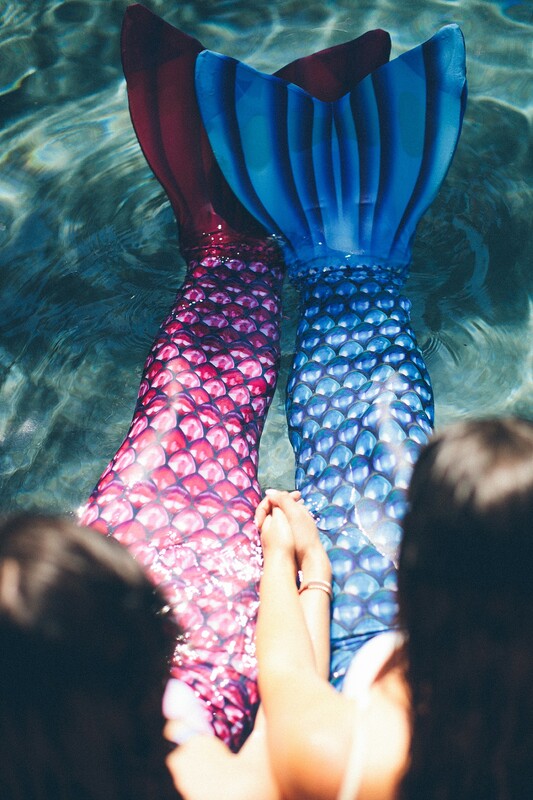 And after a long day of mermaid class, the two little mermaids swam away, ready for some sushi.